The original black marble sculptures shown here quintessentially modern Chinese sculpture / carvings of black marble abstracting most features of a couple of male and female heads. You may purchase these as the original black marble carvings or order them as limited edition sculptures in bronze (one of a series of 8). 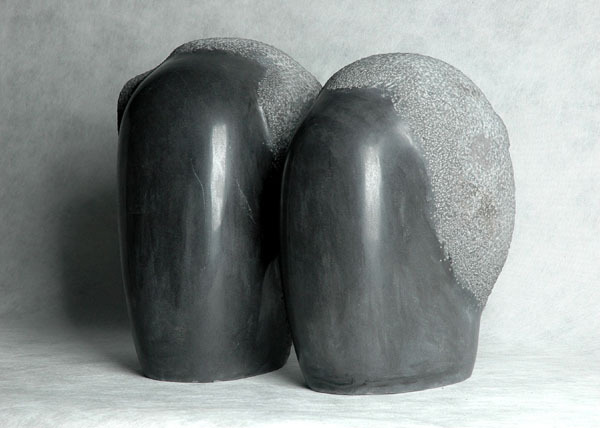 These two stylized sculptures can also be commissioned in any size and material for a private garden or public space.